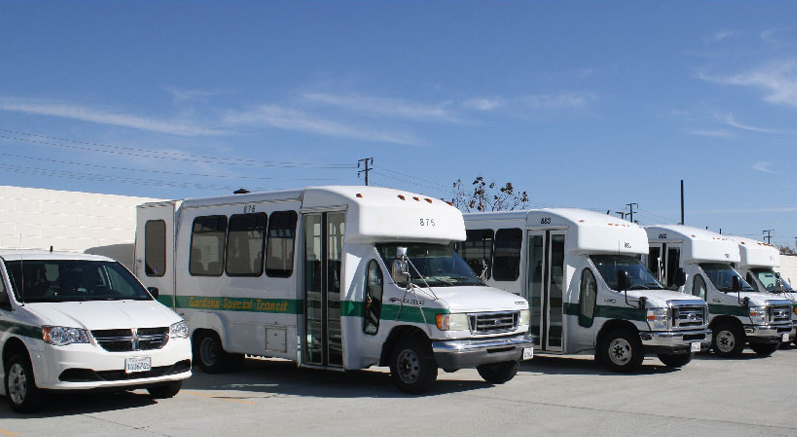 GTrans offers special curb-to-curb transportation, using a fleet of 100% wheelchair-accessible vans, for elderly and disabled residents of Gardena, Hawthorne, Alondra Park and Del Aire. Riders from the Gardena Senior Citizens Bureau may purchase S.S.I. tickets for 50 cents. The City of Hawthorne sells dial-a-ride tokens to its residents for 75 cents one-way. An aide assisting a handicapped passenger rides free of charge; however, the person requiring the aide must have the ID card that specifies the need for the aide service. For more information, download the Gardena Special Transit Informational Brochure.